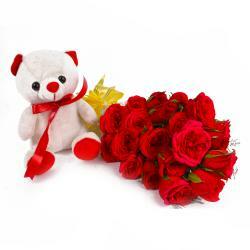 Product Consists: Bouquet of 18 Red Roses and lots of green fillers along with Cute Teddy Bear (Size: 6 Inches). 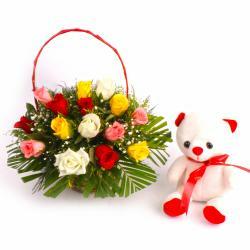 Make the special occasion of your dear ones unforgettable by gifting them with this incredible gift hamper. 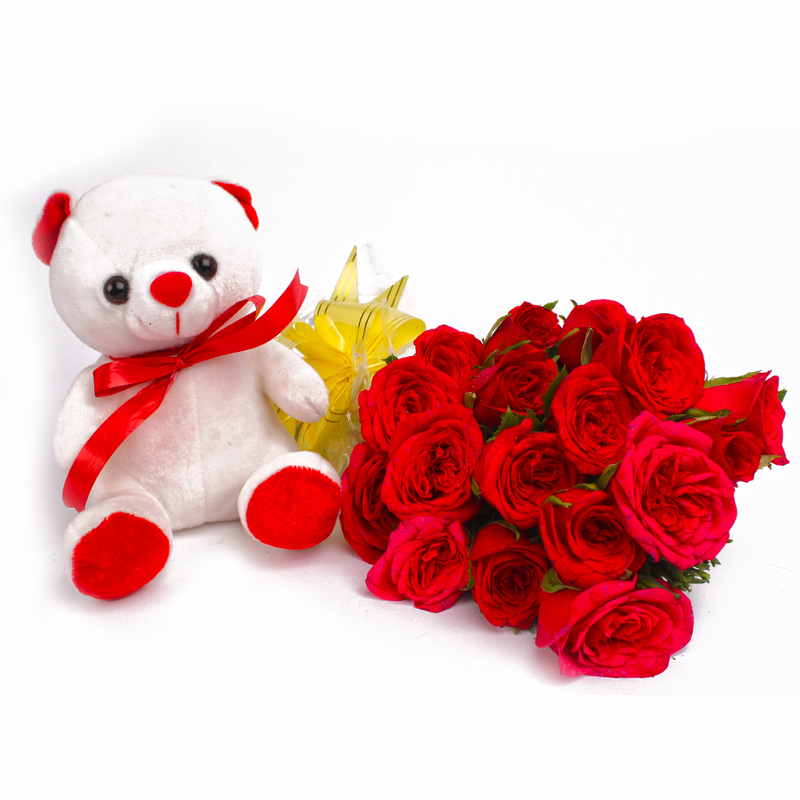 This is a spectacular flower combo that comprises of a bunch of fresh fragrant eighteen red roses adorned with cellophane wrapping that exude love all over and best quality teddy bear. This amazing gift hamper is just what you need to show your dear ones how much they are special for you and feelings in your heart. 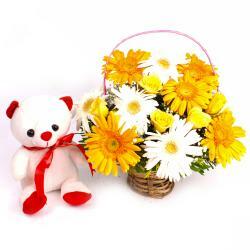 You can gift this hamper on Birthday, Diwali, Durga Puja, and Republic Day, and many more. So go on and book your order now. 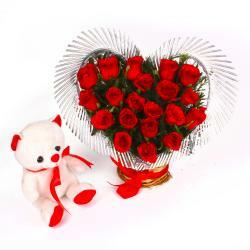 This gift hamper contains : Bouquet of 18 Red Roses and lots of green fillers along with Cute Teddy Bear (Size : 6 Inches).